Did a Fatal Motel Security Lapse Contribute to This Tragic Loss of Life? 47-year-old Rickey Lee Garland was reportedly shot and killed outside of the Andrea Cove Motel Friday, May 26, 2017. 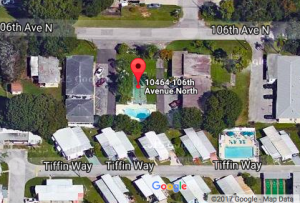 According to the Tampa Bay Times, the shooting occurred “in the parking lot of the Andrea Cove Motel, at 10464 106th Ave. N.” Police transported Mr. Garland to the hospital, where he tragically succumbed to fatal injuries, per FOX 13 reports. Motel guests have a right to feel safe and secure while on the premises. The Murray Law Firm questions the level of security provided on the property and whether this unconscionable shooting may have been prevented. Have there been prior incidents of violence on or near property? If so, were any additional security measures, such as gated entry, bright lighting, surveillance cameras, and security patrols, implemented by the motel owner to deter crime and protect guests? Generally, property owners are required to protect all patrons legally on the premises from any foreseeable harm. Should the facts of this matter reveal that the motel owner or management failed to provide adequate security to protect those on its premises, the family of Rickey Lee Garland may seek justice and elect to pursue legal claims for his wrongful death.